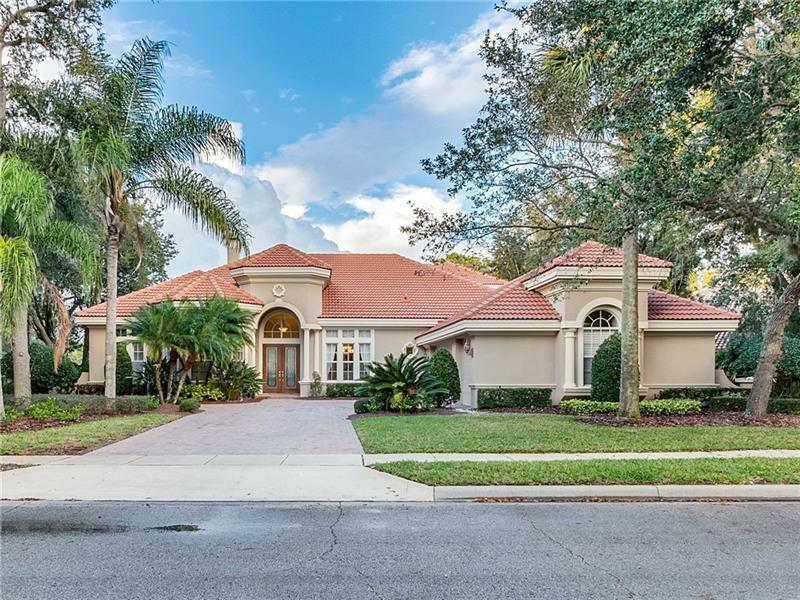 Impeccable model-perfect and gorgeous Arthur Rutenberg Lake Forest home located on exclusive South Isle in Lake Forest. More than a half-acre of manicured landscaping positioned on the most impressive location in Lake Forest. Professionally designed bringing the outside inside with views of the lake from almost every room. 5500+ SF which includes a 1500 sq ft second story with a state of art theater game room full bar and balcony overlooking the lake. The second story can be used as a perfect second Master Retreat with Full Bath. The master wing along with the remaining 4 bedrooms are conveniently located on the 1st floor and are generously sized. Other features include a huge open gourmet kitchen crown molding custom window treatments plantation shutters family room with built-in entertainment center and surround sound gym space jacuzzi with massage jets in a remodeled master bathroom. Enjoy the brick paved screen enclosed lanai with salt water pool and spa including an outdoor summer kitchen. Home has been upgraded to be energy efficient with smart house features and includes solar panels for pool heater. Live the Lake Forest life style! Lake Forest amenities include: 24 hr manned gated fitness center clubhouse Olympic sized pool playground 6 lighted tennis courts basketball courts fishing pier beach and much more. Make your appointment to preview this home today.